Kamira Paxton was on parole for 35 days this summer before she started robbing people at gunpoint again, police say. 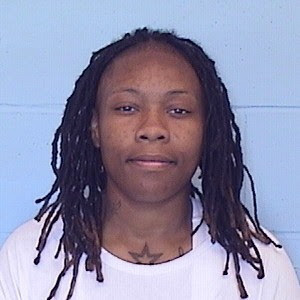 Cops caught up with her last week and she’s now facing four fresh robbery charges—two in Lakeview and two in the Douglas neighborhood. Early on August 29, Paxton pulled out a handgun, then robbed a man and tried to rob a woman in the 2800 block of North Seminary. The man lost his phone to the robber, but the woman did not turn over any property, police said. When police walked into Paxton's bedroom last week, they found a backpack and IIT-logo scarf that was taken in an armed robbery near the IIT campus hours before the Seminary hold-up, authorities said. Paxton is also charged with committing another robbery near the ITT campus on October 21. Altogether, she is facing three counts of Class X felony armed robbery with a firearm and one count of Class X felony attempted armed robbery with a firearm. Paxton was paroled on July 24 after serving half of a 6-year sentence that she received for an armed robbery in the Grand Crossing neighborhood. In July 2014, Paxton pointed a gun at a woman’s face on the South Side and screamed, “Give me the pizza! Give me what you have in your pockets! Do you have a phone?! Paxton had “several Domino's pizzas, a 2 liter of Sprite, $15” and the woman’s phone when cops found her minutes later. Illinois Department of Corrections officials said they will revoke Paxton’s parole. Paxton has been ordered held without bail by Cook County Judge David Navarro.